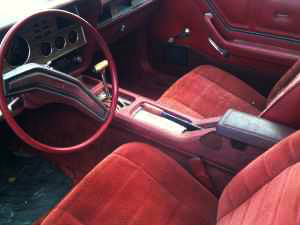 I have a 1975 Mustang 11 cobra and I'm almost done fixing it up, but I'm having a problem with seats. I need to know if seats from any other year will fit in the car if I have the right brackets, or if i have to find seats that will fit the years that body style was made, or buy aftermarket seats. Dimensions for your 1975 Mustang Cobra Seats are not easy to find, so making a direct comparison with other OEM seats is going to need to start with the seat dimensions. It's also a good idea to do the same with the stock seat brackets. So long as you have sufficient clearance in both, overall seat width, and room to attach the seat tracks to the original seat mount area, there should be no problem in adapting other seats to fit. If cost is the most important consideration, then what I'd suggest, is that you start with a trip to your local auto wrecker. In cases like this, I've been able to work it out with the bone yard that I can buy them (or one seat) and then take it back and see if it will work as a satisfactory replacement. If it doesn't, they allow me to return it. The other option you have to find a direct replacement for your 1975 Mustang Cobra Seats is to look on EBAY motors and Craigslist for parts. Condition, however may be a real issue. 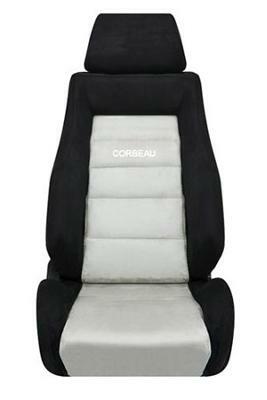 Corbeau Microsuede Seats that you see in the picture above. The bases of this kind of aftermarket seats are designed for adaptation on multiple applications and Corbeau has been around for decades, so they know what they are doing. They also have a bunch of different upholstery options, including vinyl or leather as well as the microsuede fiber. Your other option, is to check out your local auto upholstery shops and if you are wanting to keep your original look, see if they can recover your original 1975 Cobra seats. Hopefully, one of these options gets you the results you're looking for.